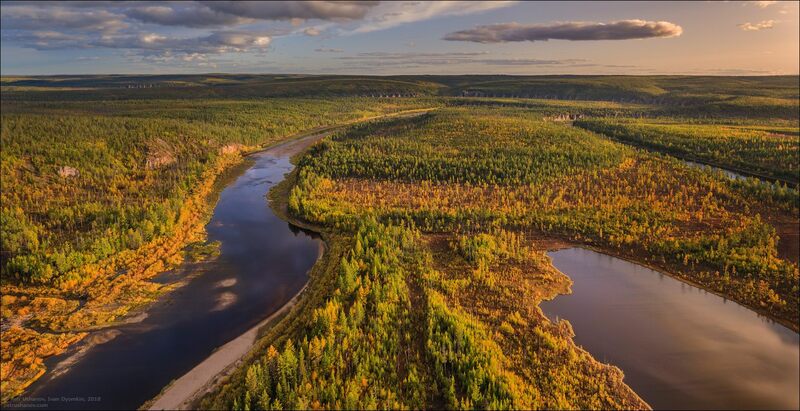 The Sinyaya River is a 597 km long river running through the territory of the Republic of Yakutia, the left tributary of the Lena River. In the lower reaches of the river, not far from the confluence with the Lena and relatively close to Yakutsk, there is an amazing natural monument called Sinskiye Stolby (Pillars). Sinskiye Stolby on Google Maps. Photos by: Petr Ushanov. 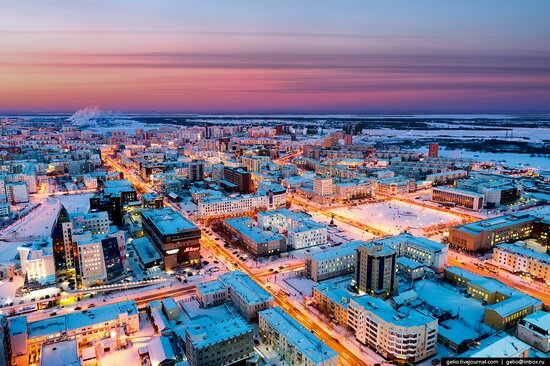 Yakutsk is the capital of the Republic of Sakha (Yakutia), the third city of the Far Eastern Federal District in terms of population (after Vladivostok and Khabarovsk) and the largest city in the world located in the permafrost zone. Because of the severe climate, Yakutsk is often called one of the “coldest” cities on Earth. Photos by: Slava Stepanov. 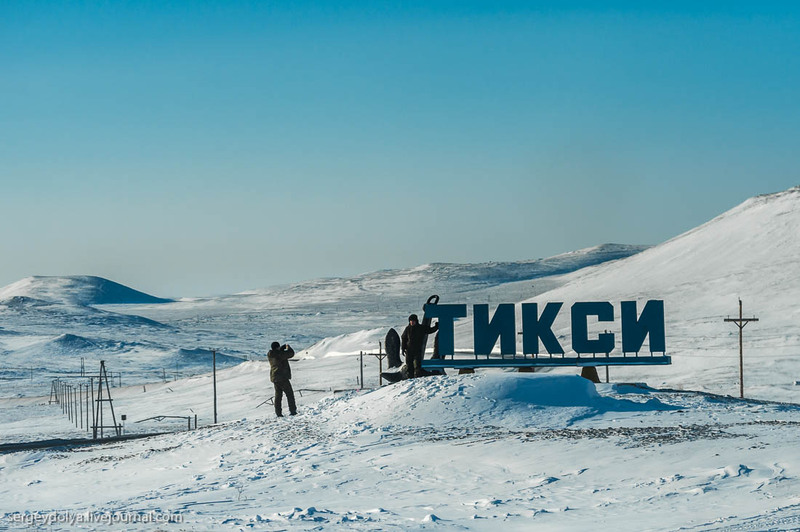 Tiksi is an urban village with a population of about 4,500 people and one of the main ports in Russian Arctic. 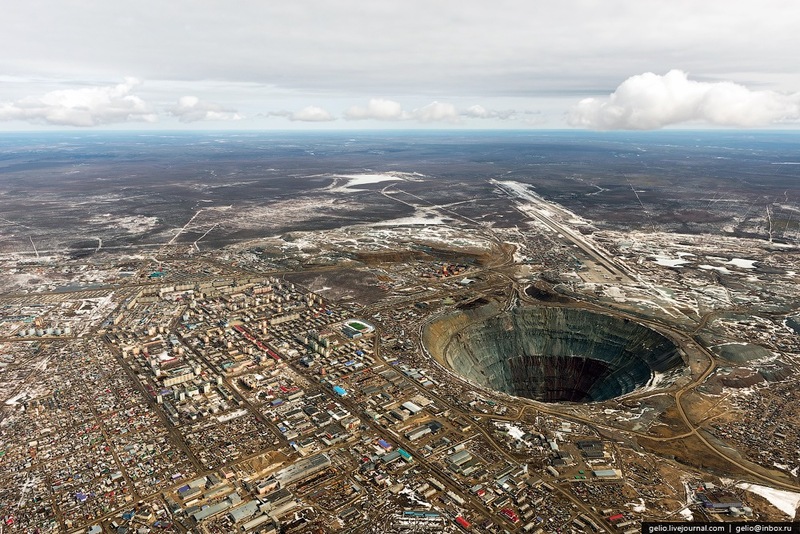 It is the northernmost settlement on the territory of Yakutia and the fourth northernmost settlement of the country. 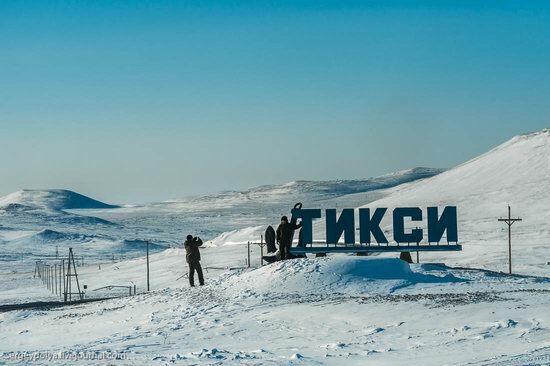 This urban village is located above the Arctic Circle, to the east of the mouth of the Lena River, on the coast of the Tiksi Bay in the Laptev Sea. Tiksi on Google Maps. Photos by: Sergey Dolya. In the mid-1950s, rich deposits of diamonds were discovered in Yakutia. Nowadays, Russian company “ALROSA” develops these deposits producing 99% of diamonds in Russia and more than a quarter in the world. European part of Russia is dominated by abnormally warm weather. The temperature often rises above zero degrees; it is raining; snow in many places has almost completely melted. Global warming? What is most unusual in Siberia and in Yakutia Republic in particular? Maybe it is the frost below minus 50 degrees Celsius, permafrost, diamonds, or cruel northern mosquitoes the size of a fist? You will be surprised, but there is something even more unusual – the desert! 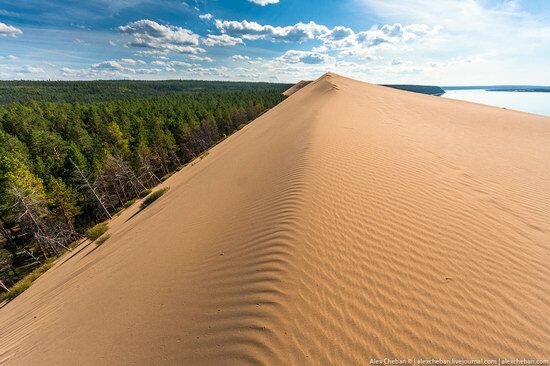 Yes, the real desert in the taiga. 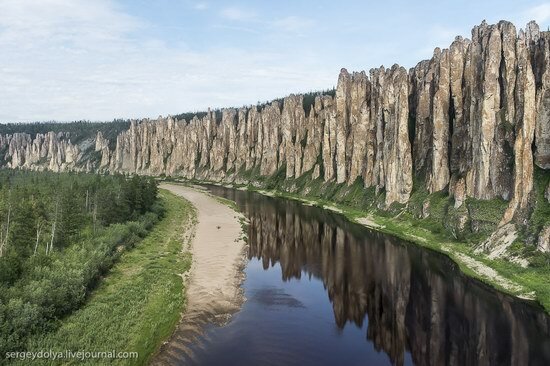 Lena Pillars is a geological formation and nature park of the same name located on the banks of the Lena River in Yakutia, about 104 km from the town of Pokrovsky. It is a complex of vertically elongated rocks up to 100 meters height piled along the banks of the Lena River. The Yakut horse (“sylgy” or “sakha ata” on Yakut language) is aboriginal breed of horses common in Yakutia. 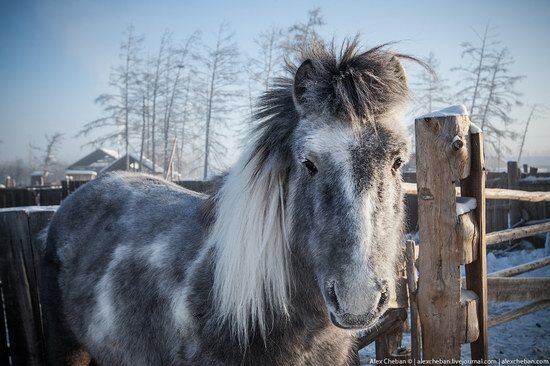 This breed of horses with long hair (8-15 cm) is the most frost-resistant. In winter it can feed on the grass from under the snow. In Yakutia, the horses are living outdoors all year round (in summer the temperatures are up to +30 ° C and in winter down to -50 ° C).